Cori is originally from Wales in the UK. After finishing her Bachelor of Veterinary Medicine, Bachelor of Veterinary Surgery and integrated Bachelor of Veterinary Medical Sciences at Nottingham University, she travelled to New Zealand for a working holiday but never left! 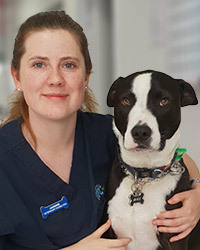 Over the last four years, Cori has mostly worked at Vet clinics within the North Shore and Hibiscus region. 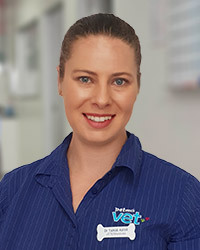 She loved the area so much she joined the team at PETstock VET in November 2018. Cori enjoys all aspects of being a Vet but especially surgery, dentistry and managing geriatric patients’ medical conditions. Outside of work she is a GEMS leader, attends church and enjoys baking. She has a mischievous cat called Milo. 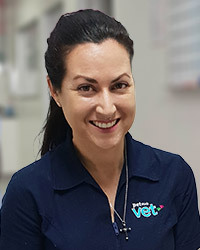 Tania joined PETstock VET at the start of 2018 and is loving being part of the team. She graduated with a Bachelor of Veterinary Science from Massey University in 2013 and spent the first 3 years of her career in mixed practice in the Waikato where she was working with dairy cows as well as cats, dogs, horses and more. 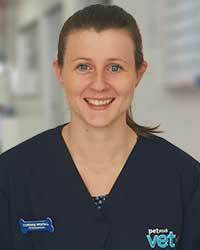 Tania enjoys all aspects of small animal medicine and surgery and is happy to be back in her hometown of Auckland. She particularly gets enjoyment out of preventative medicine, pain management and low stress handling to help patients get the most out of life. In her spare time, Tania volunteers as a leader with Girl Guiding and enjoys being active at the gym, dancing and going on adventures. Rebecca is our Practice Manager and Head Nurse. She qualified as a Veterinary Nurse almost 15 years ago and joined the PETstock VET team in January 2016. At home Rebecca has 3 rescue dogs: Nahla, Tristan and Stewie. In her spare time Rebecca likes to hike and bush run with the dogs and train at the gym. Rebecca also likes to hang out at the beach and practice her guitar and flute and is currently studying a bachelor degree with majors in Psychology and Sociology. 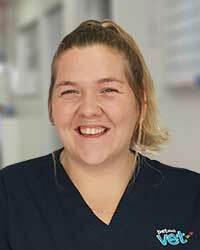 Chelsea has been with us since October 2017 and is passionate about all aspects of vet nursing! She enjoys learning as much as she can about veterinary care and constantly improving her skills. She has a particular interest in anaesthesia, behaviour training and nutrition. She aims to give her patients a low-stress, comforting experience when they visit. Originally from Australia, Chelsea loves going to the beach and on bushwalks with her Cavoodle Ruby. 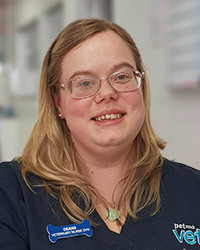 Deana Joined the PETstock VET family in January 2018 after completing her Diploma in Veterinary Nursing in February 2017. She really enjoys the nurturing aspect of Nursing and enjoys making her patients feel better and returning them to their family happy and healthy. At home Deana has a 13 year old Birman cat called Molly - she rules the house. Jasmine graduated from Unitec in 2016 with a Diploma in Veterinary Nursing and Certificate in Animal Management. She has a special interest in surgery, analgesia and exotic pets. Jasmine has a rescue dog called Max, a Border Collie/Staffy cross who comes to work with her every day. In her spare time Jasmine likes going for walks at the beach and off-road tracks with Max. She also has two rescue cats, Catniss (who you may see in the clinic!) and Sushi. Jasmine joined the PETstock VET team in March 2018 and loves it! 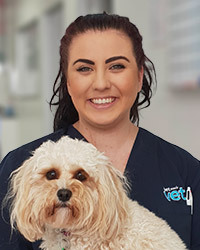 Holly started her journey in the veterinary industry when she was fourteen, working as a cattery assistant at her local vet. Her role eventually evolved into assisting the nurses around the clinic which inspired her to study vet nursing after high school. In 2014, she graduated with a Diploma in Veterinary Nursing. After returning from a five month trip around Europe, Holly joined the PETstock VET team in November 2018. She enjoys providing the best possible care and love to all the fur babies that come through the clinic. Holly is currently working towards a Bachelor of Communications and in her free time, enjoys creative writing, being at the beach, and hanging out with her dog Bailey and her three-legged cat Elmo. "I just want to give a big thanks to the amazing team at PETstock Vet Constellation! The staff are absolutely outstanding, going over and above every time I come instore. I honestly don't know what I would do without you guys, you truly make us feel like part of the PETstock family!!!" "I recently had my rat 'Benji' neutered at PETstock VET Constellation and was very happy with the care he received, the knowledgeable staff and skills of the vets and vet nurses who looked after him during the day. The surgery site itself was clean and tidy, and healed up extremely well! I can highly recommend PETstock VET Constellation as a fantastic veterinary practice with lovely, friendly staff who have an obvious love and passion for what they do, caring for all animals big and small. I certainly felt at ease leaving my 'furbaby' in their care and will most definately be back!" "PETstock VET Constellation has become a part of our family this year! They have given so much love to our fluffy rabbit Oreo! Oreo has been battling with an inner ear infection for most of the year and there were times when we would be there most days of the week!! The vet doctors and nurses are incredibly bright and passionate. From the beginning, they treated us with love and respect. They were there for the tears and fears of losing our little bundle and they were hopeful and happy with us through his on-going recovery! I can't thank them enough for the service they have provided! Keep up the great work team! You have made a difference in our lives! Lots of rabbit kisses and cuddles"